Direct Communications has been supporting the Eastern Idaho State Fair for many years. In the early 90’s Garrin Bott, could be found offering the first satellite TV product in southeast Idaho at an outside booth. Today, Directcom has moved inside to the commercial building, where for the past several years they have been offering High Speed Internet service to fairgoers. The products and promotions we run may have changed over the years, but the fair has remained relatively unchanged—like an old familiar friend that turns up each year at the same time—if your friends smell like sweet funnel cake and grease. 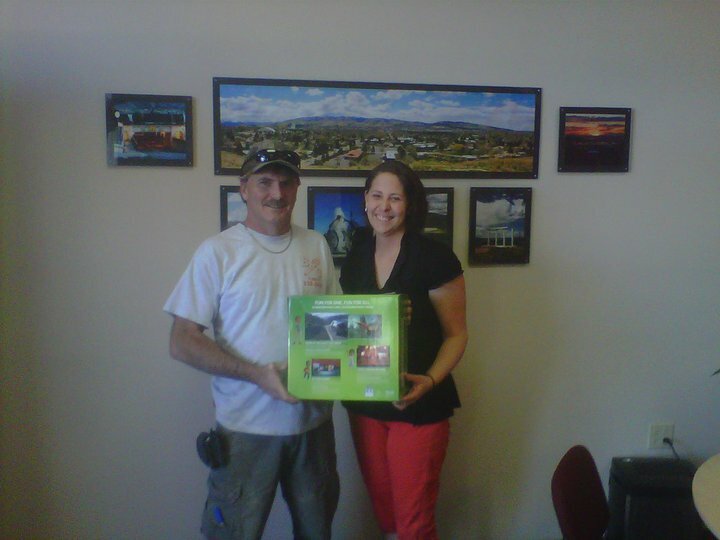 Leslie Quinn from the Directcom Sales & Marketing Department presents Donald Sherrif with his Xbox 360. 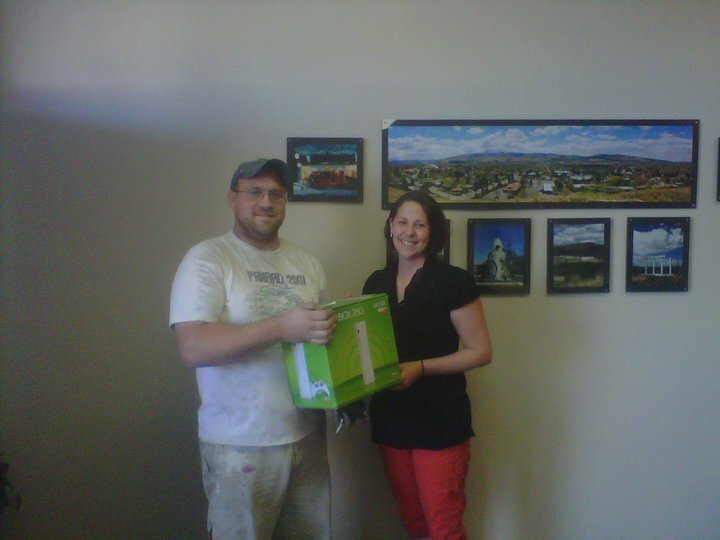 Leslie Quinn of Direct Communications presents Xbox drawing winner Grady Granski of Idaho with his prize. This year we were offering a new product recently launched in the Pocatello area—Amped Up Wireless. This wireless high speed internet product features the fastest upload speed currently available in Southeast Idaho—3Mb. I found it personally satisfying to finally be advertising speeds at the fair that were faster than our old competitor down the next isle in the building, Big Dog, who for the past few years had a top advertised speed that was faster than the economy-priced wireless products we were reselling at the fair. This year we had our own network product running off our own fiber in Pocatello, and we wanted to make a big deal about it, so we offered several Xbox’s as booth prizes. Our prize winners from our drawing for 2010 included Phillis Henson, Donald Sherrif, Grady Granski and Terri Swallow, and Cathy Van Tassell, all from Idaho. 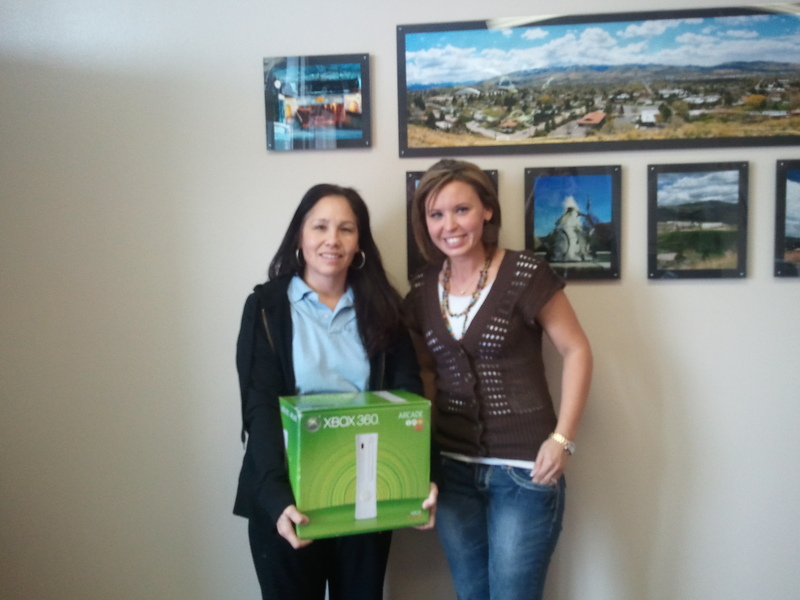 Congratulations to our winners—have lots of fun streaming video and entertaining yourself with your new Xbox 360. This is an entertainment machine that works better the faster your internet is, so it’s a great product to be paired with the premium internet service we offer. 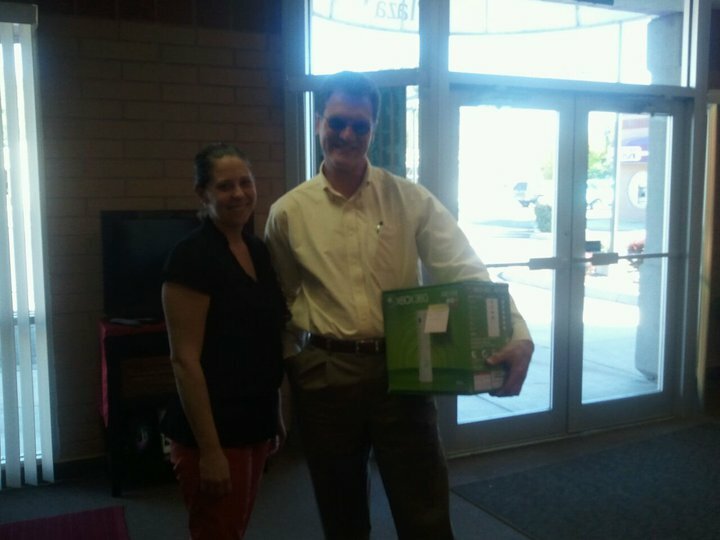 Brandon Jolley, DirectCom Installation Manager, presents Cathy Van Tassell with her Xbox. I also want to thank Anya Beauchat, our sales office administrator for all her hard work setting up the fair booth and supervising the sales staff, and all of our sales associates who covered the shifts over that long 10-day period. Our top sales-generating employee at the fair this year was Leslie Quinn, who was almost brand-new to the company, so she did a good job. The general public might not appreciate how challenging working a booth at an 10-day event like the State Fair can be—it’s not quite the same as working in a sales office—it’s a very intense, full-throttle, auction-like event going on 12 hours per day from 10am to 10pm, in a very hot, dusty, cow shed, where you talk to all kinds of people from all walks of life, and you are competing for attention with hundreds of other businesses peddling their wares—some of whom work and plan all year to move inventory in those 10 days. It’s probably more like the old medieval street-market or middle-eastern bazaars. Most people don’t come to the fair shopping for long-term services like high-speed internet, so that adds to the challenge. Anyway, most years the Eastern Idaho State Fair has been a very worthwhile event for us, where we have generated a lot of leads and signed up several new customers. 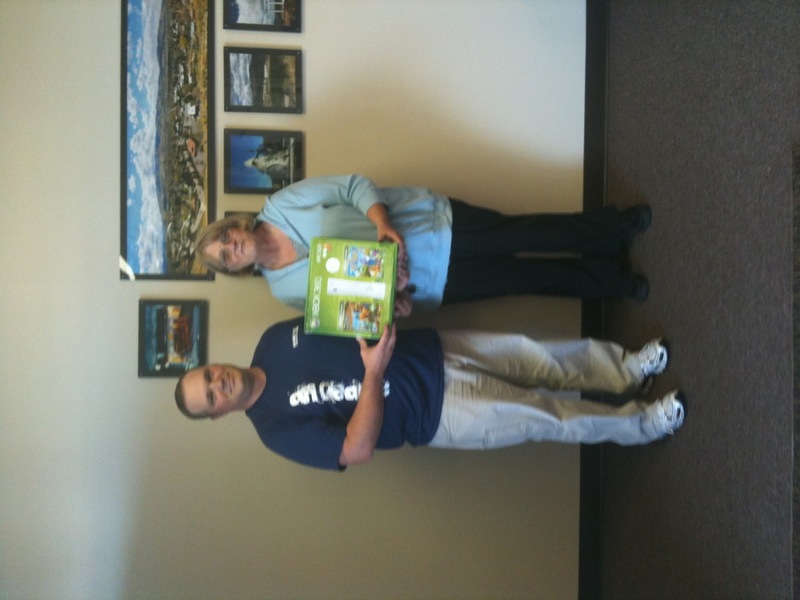 Leslie Quinn of Direct Communications presents Xbox drawing winner Terri Swallow of Idaho with his prize. Filed under Community Involvement Tagged with Direct Communications, directcom, Eastern Idaho State Fair, internet in Idaho.